Birthday girl Anushka Sharma, who is celebrating her 30th birthday on Tuesday, was seen with her hubby Virat Kohli in Bengaluru. They seem to be enjoying themselves to the fullest. We recently came across a video on social media where the duo can be seen heading to a screening of Marvel’s latest offering, ‘Avengers: Infinity War’. 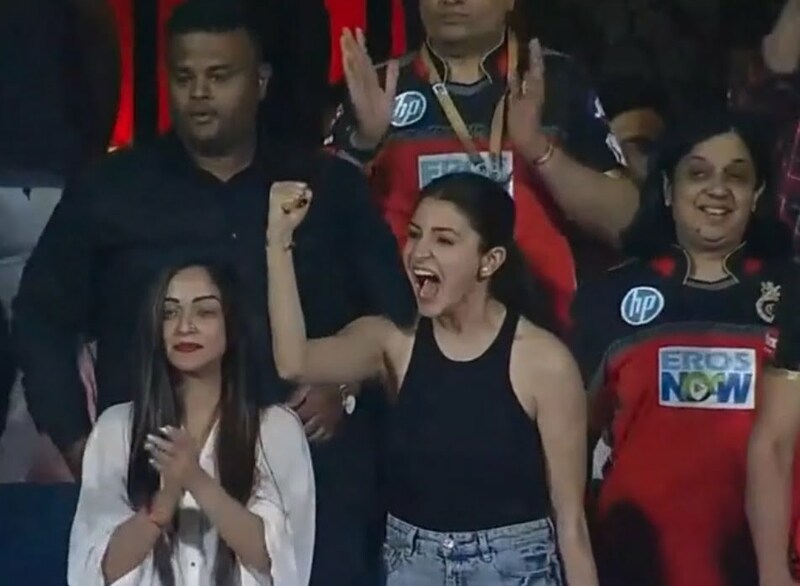 Anushka Sharma cheering for Royal Challengers Bangalore. Pictures of Anushka in a black dress, with Virat, casually dressed in a basic tee and black pants being accompanied to the theatre by security officials have made their way to social media. In the same pictures, it can be seen that there were a huge number of fans gathered as the power couple of India make their way to the theatre. 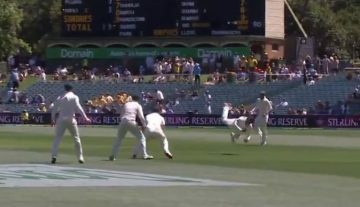 The two watched the film in Bangalore as Virat has been there since April 30 for a match that his Bangalore team will be playing against Mumbai Indians (MI) at the M. Chinnaswamy Stadium on Tuesday night itself. ALSO READ: Virat Kohli To leave IPL For Anushka Sharma? Here are the pictures of Anushka and Virat along with some of the members of the Bangalore team heading to watch Avengers: Infinity War. While Kohli is lead the Indian Premier League (IPL) franchise Royal Challengers Bangalore (RCB), Anushka is busy shooting for Aanand L Rai’s ‘Zero’ which also stars Shah Rukh Khan and Katrina Kaif.